I'll tell ya what bugs me A LOT. And people think I'm full of crap when I talk about this but here goes! 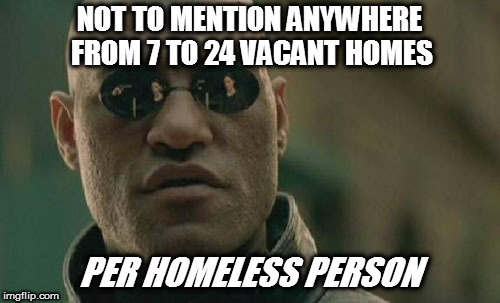 There are actually people out there who CHOOSE to be homeless beggars. And they get pretty uppity when people pass them by as they are panhandling. The reason this grinds my gears so much is because the legitimately needy get lumped in with the terribly lazy and entitled. Too many times I have seen a person refuse to lend a hand because they felt they couldn't trust the need thanks to these who choose it as a lifestyle. I hate to see people humiliate themselves trying to get help only to be further humiliated because of that stereotype that is festering. I'm not referring to some of the mentally ill we see who do this, but rather these little punks who do it because they think it's cool. There was actually a documentary on these folks and I wish I could remember the name of it. If it comes to me I will share it. But yeah. I'll get off of my soap box now I guess. I heard it can be profitable if done correctly. Lately I don't give as much as I used to... you can never tell who really needs it. Also... I've read Hawaii has the most homeless in the U.S. because people can live outdoors in tents. We had a local homeless camp. It was set up like a community. Many local agencies went in and tried to get these people help but they refused. Another entry in the "Sad But True" file. Didn't know that. Thanks for the stat. At least all the billionaires have food and shelter... the poor things! But seriously, I think we can do better for homeless and starving people everywhere. And another thing; afaik none of those are second homes or anything like that, they're all literally vacant, owned by banks and such, which leads to another interesting little tidbit. A couple of states in the US (I forget which ones now, but they're what California types call "flyover states" of course), have started outright giving some of these vacant homes to homeless people, as a first step to helping them get back on their feet. In doing so, these states discovered it overall cost them less in taxpayer money to give those homes to people than the cost of funding emergency services (food and temporary shelter, for example, among other services) for each person given a home. Do the states buy them from banks, or require banks to 'loan' them out and hope for the best (occupants/condition when done)? I believe they buy them out from the banks, but don't quote me on that. Some may also be seized property. Check out this video on youtube, from /Los Angeles/! 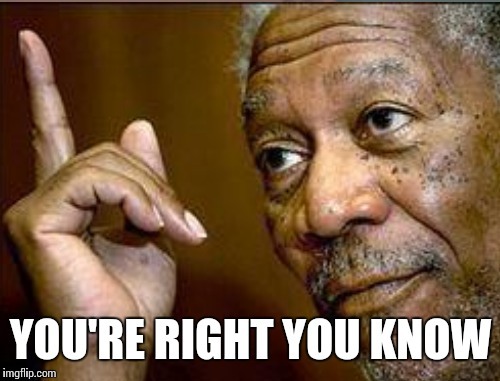 Before I knew about memes this was my favorite. Saw it on the web a while back and fell in like with it. Tried a quick search, but... no go. It's got our favorite watermark on it though. Maybe someone will recognize the author? 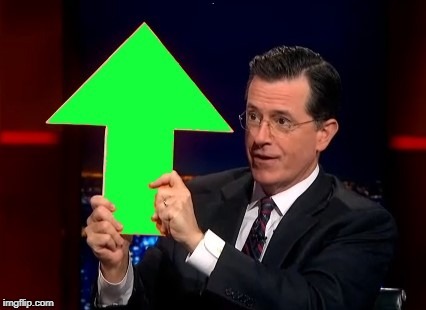 Forgot to mention - thanks for all the views and UV's. 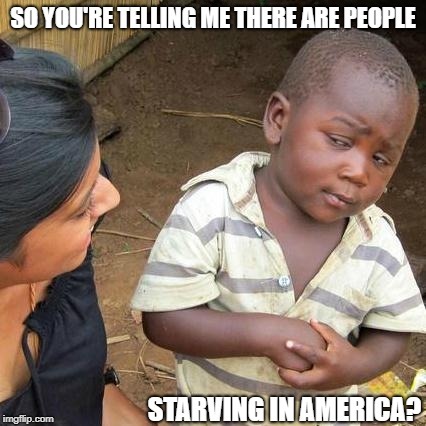 SO YOU'RE TELLING ME THERE ARE PEOPLE; STARVING IN AMERICA?